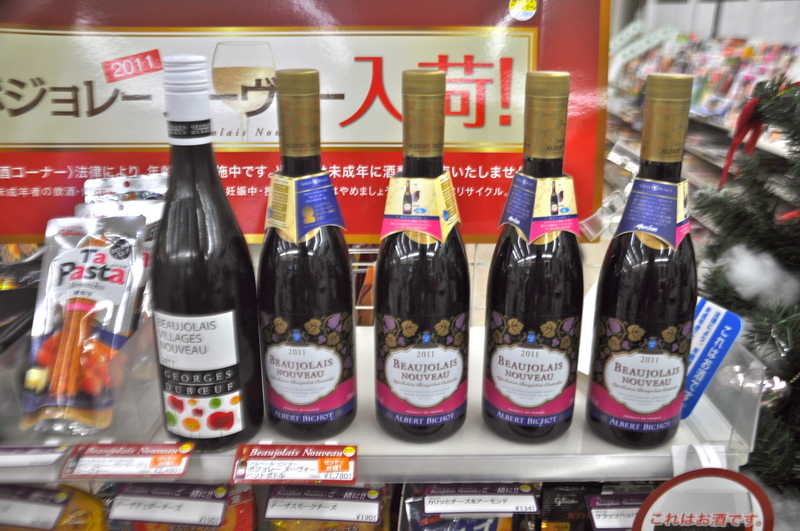 Beaujolais Nouveau was a fad in the 80’s founded entirely on marketing, which preyed on the desire for sophistication. Thin sour wine. I think it has more or less disappeared in France but in Okinawa it is big time. 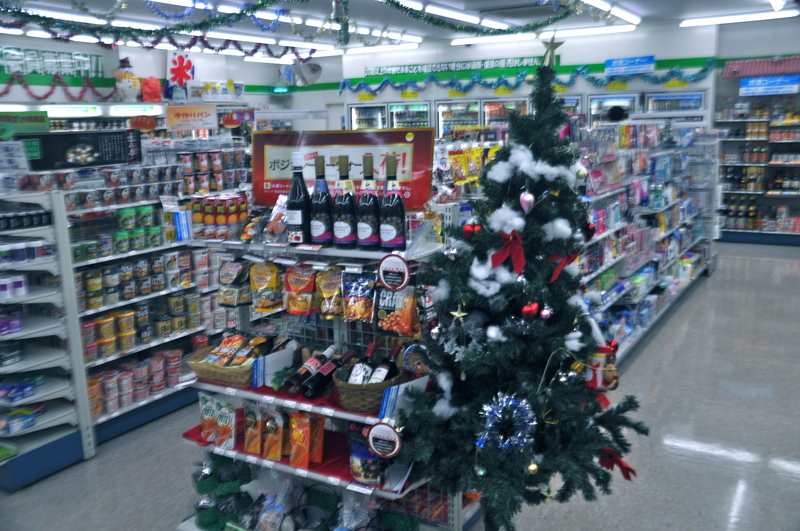 This was taken in a convenience store – hmmm, Japanese store that sells what you need open 24 hrs a day- perched on a cliff top near my apartment. The Duboeuf is 2480 yen about $32. How did it get here? Do Okinawans really spend that kind of money on sour wine? A Christmas tree too! What is going on?